This ministry offers an opportunity each week, for those who are interested in knitting or crocheting prayer shawls, lap robes, or baby blankets to be given to individuals in our community. Members enjoy fellowship on Thursday mornings from 10:30-11:30 AM in the CHURCH PARLOR (ROOM #212) on the second floor of the sanctuary building. Both experienced and novice knitters may become “Chicks”. We are a care ministry serving not only individuals, but also those in need at Brenner Children’s Hospital, Walter Reed Army Medical Center, and Victory Junction Gang. “Chicks with Sticks” offers items which are made, blessed, and given freely to anyone in need as a reminder of God’s presence during times of trial, transition, or joy. 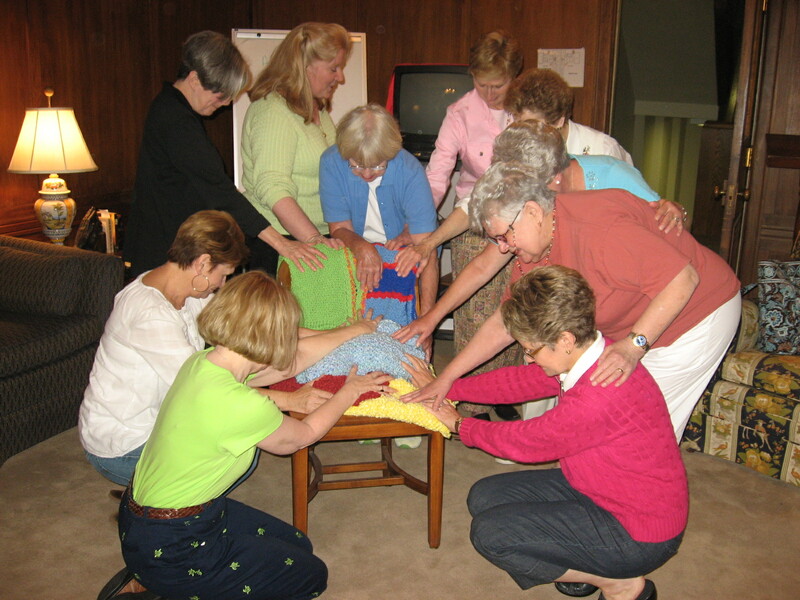 If you are interested in learning more or in becoming a member of Memorial’s Prayer Shawl Ministry or if you know of an individual who might make a good recipient of this ministry, you may contact Marie Carmichael or call the church office (336) 472-7718.